Bailey Metal Fabricators was founded in 1960 by Richard Bailey as Bailey Welding a blacksmith/repair shop. In our almost 60 years in business we have made many changes including a couple of facility expansions. We have evolved from a blacksmith shop to a full service fabricator. In 2004 Greg and Ryan Bailey purchased the business from their father changing the name to Bailey Metal Fabricators Inc. to reflect the direction the company is headed. 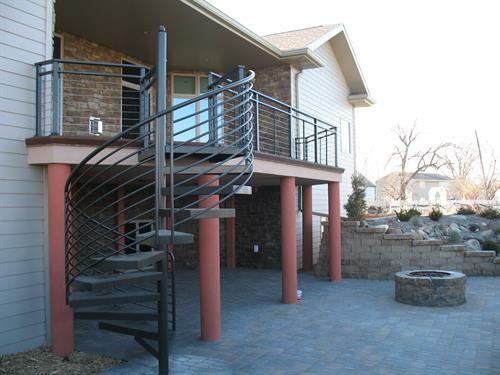 We specialize in many areas including CAD design, certified welders, structural steel, ornamental railing, stairs, misc. metals, concrete forms, architectural elements, grain hoppers and many other items too numerous to mention. We have the largest metal inventory in the area including steel, aluminum, stainless steel, galvanized. The following is a list of some our equipment and services we provide: CNC HyDefinition plasma 6' x 12' cutting to 2'' thick, oxy-fuel cutting to 6'' thick, 300 ton CNC press brake, shearing to 1/4'' x 10' mild steel, sawing capacity to 20'' x 18'', plate rolling to 1/4'' x 6', tube rolling, MIG, Tig & Stick welding, portable welding, finish painting, galvanizing. From the Corn Palace we are 1 block west and 1 1/2 blocks north.